Oceanic Systems (UK) Ltd has recently added another groundbreaking engine display to the company’s portfolio, the 4161 Multiple Engine Display. Designed as part of Oceanic’s iconic BlackGlass range, these engine displays are chosen for their advanced functionality and elegant appearance. With sunlight readable and dimmable colour graphics, these displays add class when installed in the vessel’s bridge. 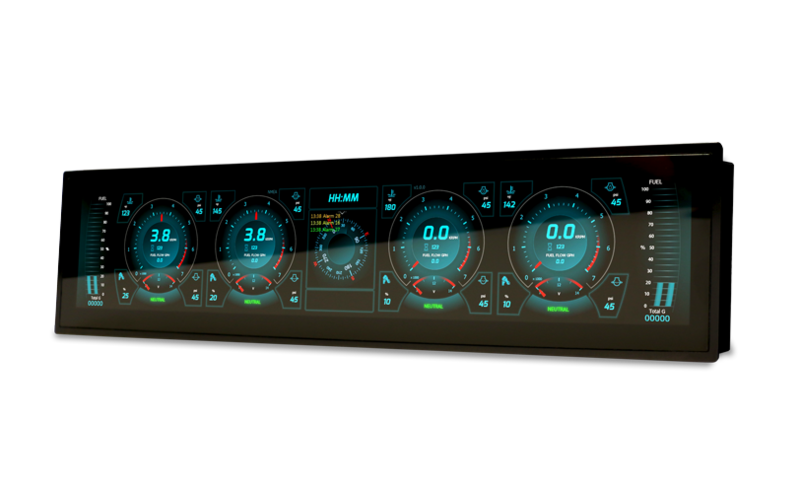 The 4161 Multiple Engine Display shows data for up to four engines and is the latest development in a range of Oceanic Systems engine displays. These displays are the perfect alternative to original engine manufacturers’ options of older style single unit displays. Choosing the engine manufacturer to display is done by simply setting a switch on the rear of the unit. Currently supporting eight major engine brands, Oceanic Systems is increasing the capability to an outstanding 16 engine manufacturers for each inboard and outboard engines. These displays understand and present engine manufacturer’s error codes as they occur to ensure that they do not compromise the selected engine manufacturer’s warranty – providing flexibility to installers, boat builders and owners alike. “It’s not just about the cutting edge design and engine brand compatibility. Fitting the new 4161 Multiple Engine Display, much like our existing 4166 Dual Engine Display, comes down to simple economics as well. We are enabling manufacturers to save as much as £7,500 per boat in installation costs, a concept which is naturally being met very positively from our resellers.” – Bruce Coward, Managing Director. 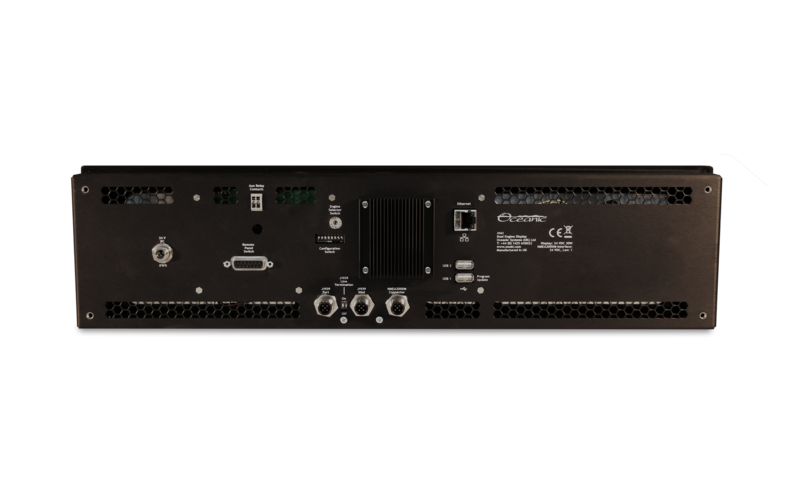 Available in 19” wide format, the Oceanic Systems’ Multiple Engine display has both J1939 and NMEA2000® built-in interfaces that display all the important engine data in real time. Displayed information includes up to four engines and four fuel tank levels, the current rudder/steering angle, GPS compass and local GPS time. Oceanic Systems has already sold several hundred of their current Engine Display models worldwide, proving them to be the choice of many of the world’s top motor yacht manufacturers who seek an upgraded design to complement the luxury interiors of the latest motor vessel models. The inboard engine manufacturer compatibility options include Caterpillar, MAN, MTU, Volvo, Cummins, Yanmar. The outboard engine manufacturer compatibility options include Mercury (with Smartcraft adaptor), Evinrude, Honda, and Yamaha. Find your nearest US reseller. Find your nearest Rest of World reseller. Oceanic Systems (UK) Ltd design and manufacture world-class marine systems for control and monitoring vessels. Their product range includes fuel and water senders, level gauges, NMEA2000® cabling and connectors, dual and multiple engine displays and their newest launch, Poseidon. Poseidon has first airing at Palma Boat Show What is NMEA2000®?